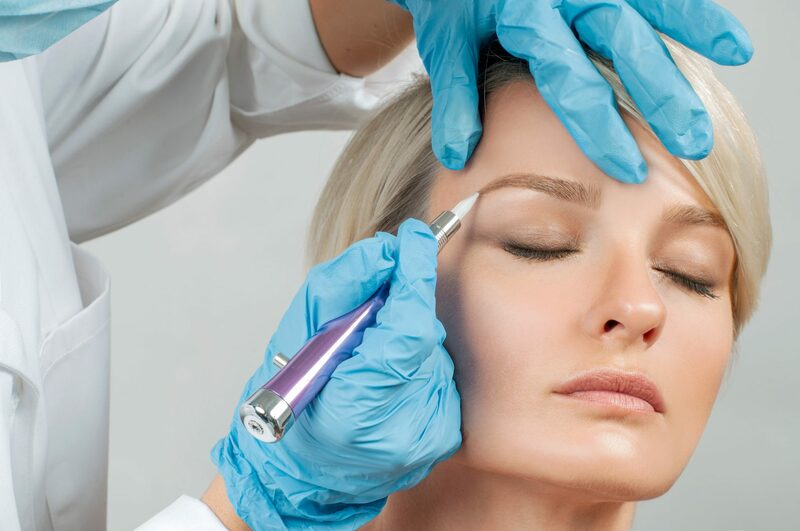 Microblading is the art of hair stroke brows using a state-of-the-art hand tool that creates thinner, more precise strokes that aren’t as deeply ingrained into the skin compared to hair-like strokes created by a tattoo machine. These strokes come out looking more refined because the artist has more control. This procedure includes brow mapping to create size, shape and symmetry, prior to area numbing. It takes between two and four hours to complete. Results typically last between one to three years but requires a perfection appointment six to eight weeks after the initial service, and yearly maintenance after that. After microblading, the brows should not come into contact with any sweat for one week. If you need to work out, the brows should be covered to protect the pigment and keep the surrounding area calm and clean. A protective ointment will be provided and should be used for one week following the procedure. This permanent procedure is the least invasive type of procedure and ideal for clients that still have some eyebrow hair. A soft, powdery color that is matched to your hair color is used to fill in sparse areas. This will help fill in, shape, or enhance existing brows. Sometimes different techniques are combined when designing the eyebrows. The hair stroke, feathering and powder fill techniques sometimes get confused. Feathering is a combination of the hair stroke technique used in microblading, in tandem with the powder filled brow method. In feathering, the hair strokes are closer together to give a dimensional, shaded look. These methods combined sometimes work better with certain skin types, age, or health conditions such as thyroid disorders. The combination technique leads to the most natural looking style of permanent eyebrows.